In the wake of a year-long federal investigation of corruption in private prisons, Ava DuVernay takes on the issue of contemporary incarceration in her new documentary. 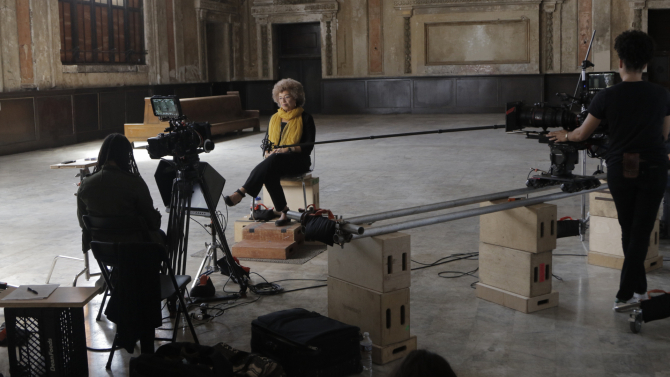 The Oscar-Nominated director, known for Selma, the television series Queen Sugar, and the forthcoming A Wrinkle in Time, expands her portfolio once again with Netflix documentary The 13th. Recently, DuVernay has created compelling and racially sensitive works focusing on issues of social justice. The 13th looks primed to fit into her growing legacy. The newly released trailer states “From slave to criminal, with one amendment.” This declaration is the apparent thesis of the film as it follows the effects the thirteenth amendment, and it’s effect on imprisoned people in the current day. DuVernay’s new film also investigates the corporate and political motivations underling our country’s skyrocketing incarceration rate and the racial bias built into the system without, DuVernay says, falling into partisan stereotypes. On October 7th the film will join romantic dramas I Will Follow and Middle of Nowhere as Ava DuVernay’s third film available on Netflix. The 13th will be the director’s fourth documentary piece. Additionally it will be the first documentary to open the New York Film Festival. Hopefully the film’s high profile premier and wide availability online will enable it to spark a national conversation, and spread DuVernay’s powerful message.